Required modern cooking equipment - A kitchen's ambiance is defined by the aroma of herbs and spices battling against each other before they are added to a recipe. These strong flavors are unleashed when using the HiCoup Kitchenware mortar and pestle. 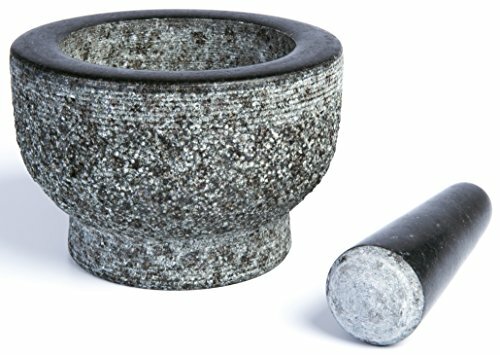 Our granite mortar and pestle is handy for everything from cracking peppercorns and crushing tender herbs to making pesto and guacamole. Chef preferred – Chefs have a preference for a granite mortar and pestle over a clay, ceramic, glass, marble or wooden one since a granite mortar and pestle never fails to product the most delicious paste. You will discover that the fine flavors produced from food ground in the HiCoup granite mortar and pestle are far superior to the flavors of foods ground in a mortar and pestle made from other materials. Excels at the full range of tasks – From mashing delicate herbs to grinding stubborn peppercorns, our solid, hand-carved mortar and pestle outrivals the competition. The heavy, broad-based pestle needs to do little more than fall on ingredients to crush them – very little elbow grease required. And the bowl’s deeply sloped shape and matte texture keep ingredients in the center, so there’s no need to chase them around with the pestle. 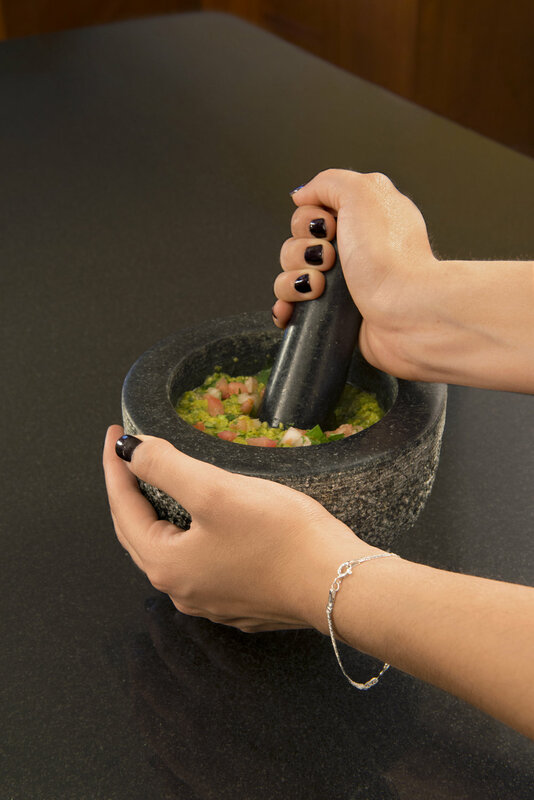 Healthy and easy to clean – Our granite mortar and pestle is literally rock hard, is non-porous, will not absorb flavors and odors, and its matte surface creates friction for grinding but is smooth enough to wipe clean easily. In addition, studies have shown that granite dust, which gets into the ingredients pounded in a granite mortar and pestle, contains 5% potassium, and has associated with it 16 minerals. Potassium aids the functions of the cells and different organs in our bodies. A high-quality product backed by outstanding customer service – We’ll let our reviews and seller feedback speak for themselves. We are so confident in the quality and durability of our products that we stand behind them 100% with a FREE LIFETIME WARRANTY. 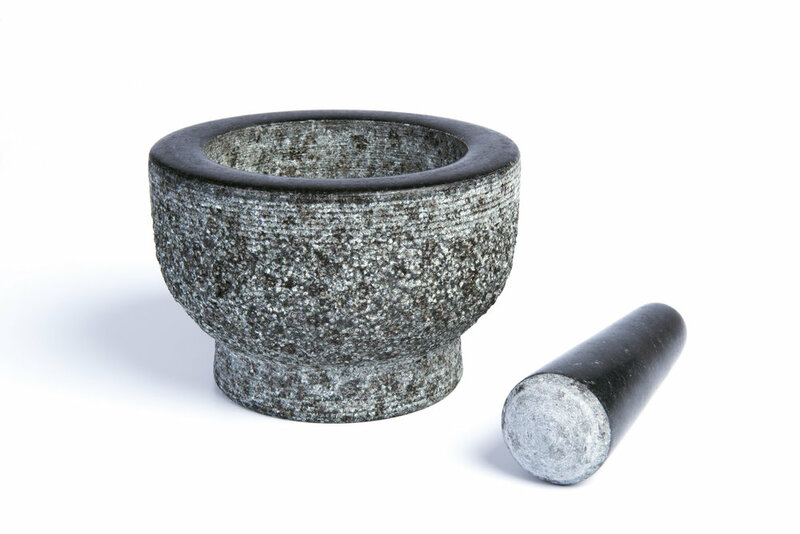 If something breaks or if you don’t absolutely love your new granite mortar and pestle we will OFFER A REPLACEMENT and/or REFUND YOUR MONEY, no questions asked.